Playtime is back! Join Warren and Cobra for an all new adventure. Playtime Season 4 premiers April 22 on Halo Waypoint. Catch a new episode every monday until June 10! 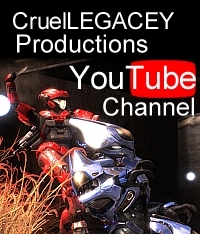 Video | This entry was posted in Halo 4, halo reach, Playtime, Video and tagged halo waypoint, machinima, playtime, season 4, trailer. Bookmark the permalink.